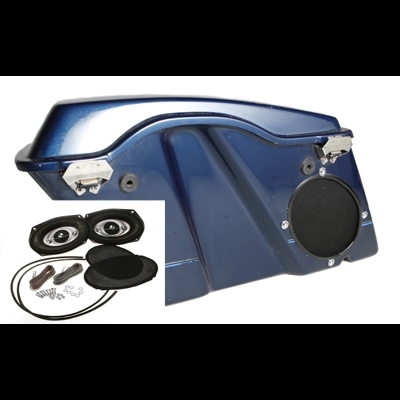 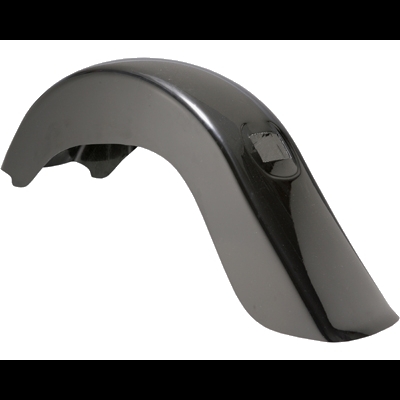 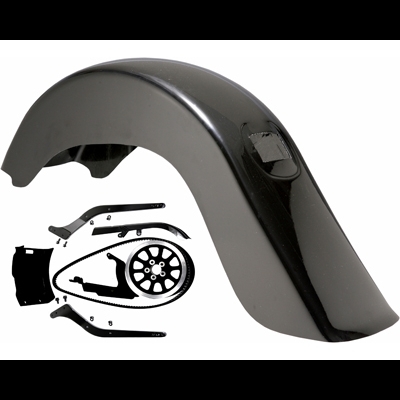 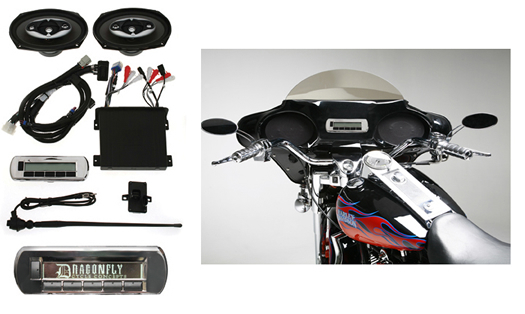 The Basic Fairing (DTF8) ships ASSEMBLED with inner/outer shell (black gelcoat finish), speaker mounts with grills, polished, stainless steel mounting brackets for your model and a hole cut for a radio and 12-volt plug. 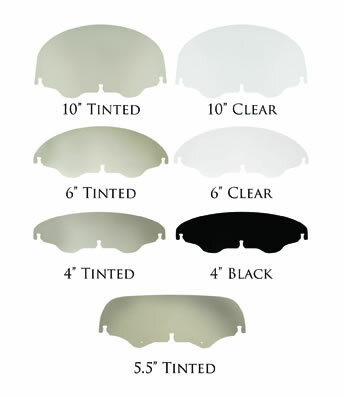 Your choice of windshield is also included, not assembled. 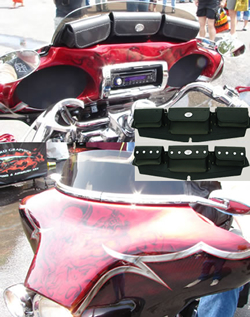 Hole cut will house our WATERPROOF, LCD Screen Dragonfly Stereo Package with no sliding cover necessary. 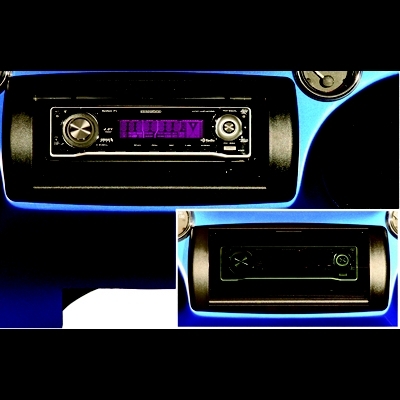 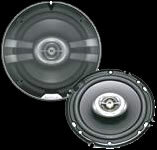 Or we'll cut the hole to accommodate most single-DIN sized stereos, sliding cover recommended. 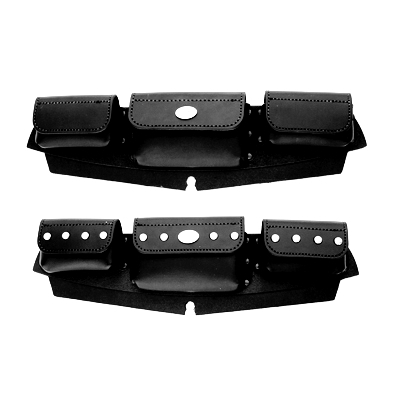 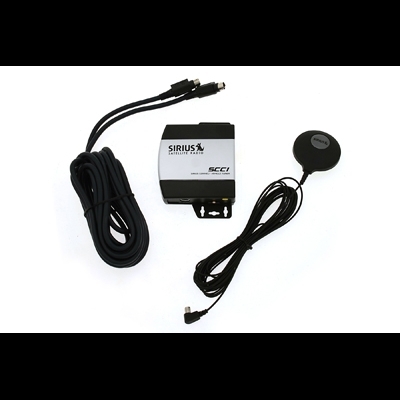 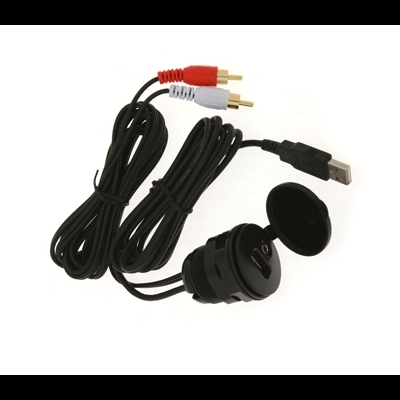 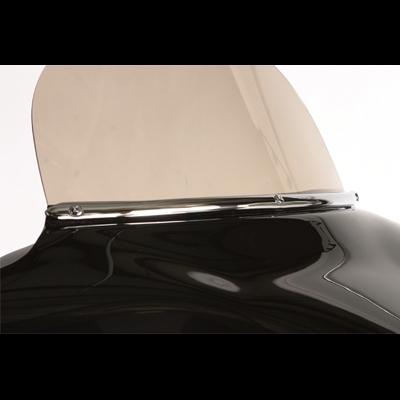 Mounting onto your detachable windshield mounts, it quickly detaches in less than 2 minutes after initial wiring. 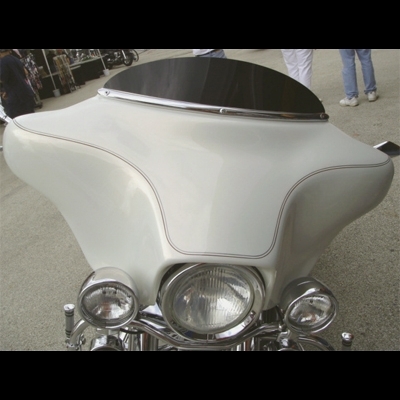 The fairing weighs approximately 25 lbs fully loaded. 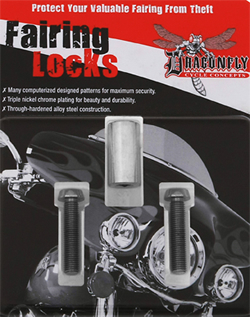 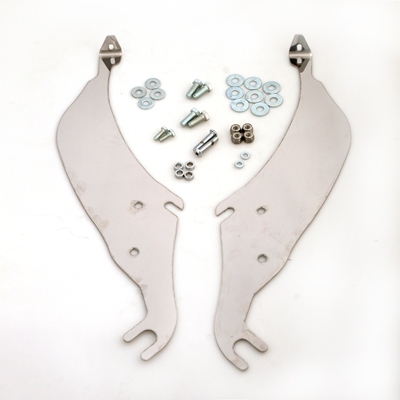 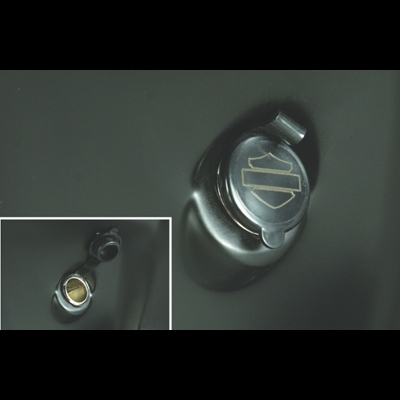 Dragonfly Fairing Locks are available, adding no additional detachment time. 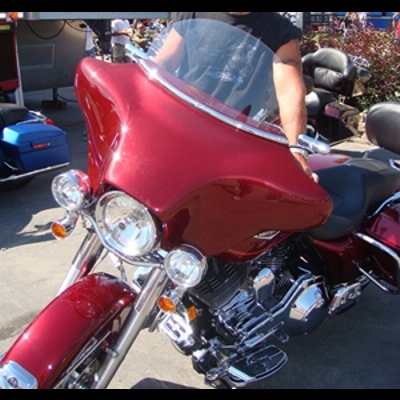 Factory matched paint available for HD models; two-toned, 100th & 105th Anniversary, Screamin' Eagle and Radical Paint Sets, too! 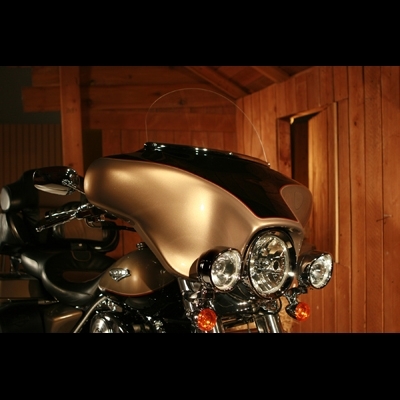 100th Anniversary look-alike stripe sent with your non-painted fairing for you to apply at a later time. 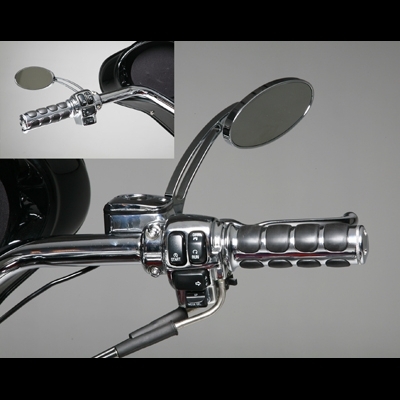 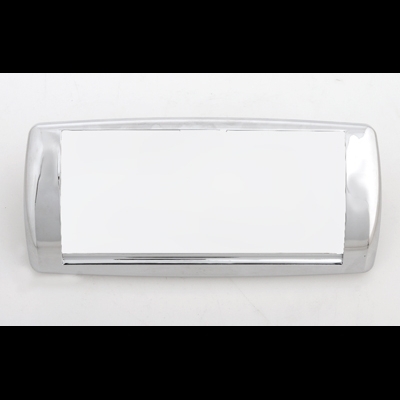 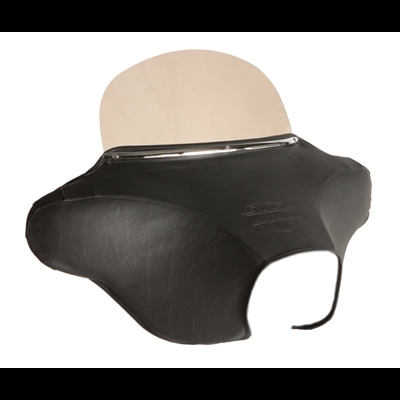 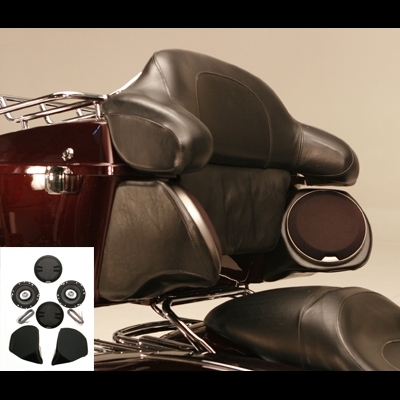 All 6.5-inch Klock Werks windshields fit Dragonfly detachable or Harley-Davidson Electra Glide fairings ONLY.